NB Current sheets are here. revised 1920: unique no. 3271 (1948): unique no. 3631 (1951). revised : A ( / ). revised 1950-1: B (1958); B/ (1958); B// (1959); B/// (1960); B//// (1963). C6/*/ (1978); C6/*//* (1981); C6/*//*/* (1983). revised 1996-7: C (7/98). Replaced by new style sheet 5/01. renamed Loch Lomond & the Trossachs (1961). (1:63,360) revised 1924-5: unique no. 3388 (1949). revised : B (1967); B/* (1972); B/*/* (1976); B/*/*/* ( / ); B/*/*/*/* (1981); B/*/*/*/*/* (1983). (1:63,360). revised : A (1957); A/ (1958); A// (1960). revised 1958-60: B (1963); B/* (1970); B/*/ (1971); B/*//* (1975); B/*//*/* (1978); B/*//*/*/* (1980). revised : C (1986); C1 (1990); C2 ( / ); C3 (9/95). revised : D (9/99). Replaced by new style sheet 6/01. (1:63,360). revised : A (1958); A/ (1959); A// (1963). revised 1958-63: B (1966); B/* (1970); B/*/* (1972); B/*/*/* (1975); B/*/*/*/* (1978); B5/* (1979). revised : C (1982); C/* (1985); C2 (1990); C3 (1992). revised : D (1/95). Replaced by new style sheet 1/02. renamed Ben Nevis & Glen Coe (1964). (1:63,360) revised 1954: A (1959); A/ (1961); A//* (1967); A//*/*/* (1975); A//*/*/*/* (1981); A//*/*/*/*/* (1986). (1:250,000). revised : A (1959); A/ ( '1959'). revised : B (1963); B/* (1967). (1:63,360). revised 1944-50: A (1961). (1:126,720). revised : A (1961 or 1965). (1:63,360). revised : A (1964); A/ (1967); A// (1972); A/// (1975). (1:63,360). revised 1956-65: A (1966). revised : B (1972); B/* (1976); B/*/* (1980); B/*/*/* ; B/*/*/*/* (1982). renamed Snowdonia and Anglesey (1983). (1:126,720) revised : A (1966); A/ (1968); A//* (1972); A//*/* (1976); A//*/*/* ( / ); A//*/*/*/* (1980); A//*/*/*/*/* (1983); A//*/*/*/*/*/* 1986). (1:63,360). revised 1965: A (1967). revised : B (1973); B/* (1975); B/*/* (1977); B/*/*/* (1980); B/*/*/*/* (1981). revised : C (1985); C/* or C1 ( / ); C2 (5/94). revised : B (1973); B/* (1975); B/*/* ; B/*/*/* (1982); B4 (3/94). (1:63,360). revised : A (1967). (1:63,360). revised : A (1983); A/* (1985); A2 (1991); A3 (1993). revised : B (8/97). Replaced by new style sheet 1/02. (1:50,000). revised : A (1984). (1:200,000). revised : A (1986 or 1988). (1:500,000). revised : A (1988); A1 ( / ); A2 (1994); A2/ (8/96). revised : B (8/99). Replaced by new style sheet 6/03. (1:548,400). revised : A (1989); A1 (9/91). Replaced by new style sheet 6/02. (1:158,400). revised : A (7/90). Discontinued 5/01. (1:158,400). revised : A (1990). revised : B (12/94). Discontinued 5/01. (1:207,070). revised : A (1992.
revised : B (6/94). Replaced by new style sheet 3/00? (1:63,360). revised : A (1992); A1 (2/96). revised : B (10/98). Replaced by new style sheet 6/01. 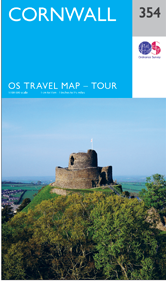 All Ordnance Survey Leisure Maps were re-branded from June 2015. The editions changed from alphanumeric style - i.e. B2/ - (used since the 1950s), back to month/year style. Sheet 1 Cornwall (1:100,000) : A (3/00); A/ (10/01); B (3/03); C (11/04); D (12/06); E (3/09); F (2/11); G (2/13); H (2/15); 2/16 (2/16); 12/16 (5/17). Sheet 3* Lake District & Cumbria (1:100,000) : A (7/03); B (10/05); C (6/07); D (1/09); E (4/11); F (10/13); 2/16 (2/16), 2018 (7/18). Sheet 4* Peak District & Derbyshire (1:100,000) : A (11/03); B (10/05); C (12/07); D (4/09); E (7/11); F (4/14); 2/16 (2/16). Sheet 5 Devon and Somerset West (1:130,000) : A (3/00); B (3/03); C (11/04); D (12/06); 'red cover' A (6/08) not published; E (9/08); F (6/10); G (5/12); H (6/14); 2/16 (2/16); 11/16 (5/17). Sheet 8* The Cotswolds & Gloucestershire (1:100,000) : A (10/03); B (12/05); C (12/07); D (7/09); E (5/11); F (1/14); 2/16 (2/16). / Gogedda Chanolbarth Cymru (1:100,000) : A (8/03); B (6/05); C (6/07); D (5/10); E (8/12); F (10/14); 2/16 (2/16); 11/16 (8/17). / De a Chanolbarth Cymru (1:100,000) : A (8/03); B (6/05); C (7/07); D (6/10); E (9/12) F (10/14); 2/16 (2/16); 11/16 (5/17). Sheet 12 Scotland (1:500,000) : A (6/03); A/ (4/04); B (6/05); 'red cover' A (4/08) withdrawn; C (7/08); D (3/10); E (2/12); E (2/12); F (4/14); 2/16 (2/16). The two editions in red were announced by the OS but only the Scotland sheet appeared but was then withdrawn from sale in June 2008. Sheet numbering was subsequently removed from covers. Sheets withdrawn from sale in January 2010. & part of North Yorkshire (1:100,000) : A (9/03); B (6/05); C (6/07); D (8/09). & part of North Yorkshire (1:100,000) : A (10/03); B (9/05); C (10/07); D (10/09). Sheet 7 Hampshire & the Isle of Wight (1:100,000) : A (7/02); B (9/04); B/ (5/05); C (9/06). Sheet 9 Dorset, Somerset East, Bath & Bristol (1:110,000) : A (7/02); B (7/04); C (9/06); C/ (5/07). Sheet 13 Oxfordshire & Berkshire (1:100,000) : A (4/03); B (11/04); C (11/06). Sheet 14 Northumberland (1:100,000) : A (6/02); B (12/04); B/ (3/05); C (1/07); D (10/09). Sheet 15 London including the M25 (1:75,000) : A (4/02) ; B (7/04); C (8/06); C/ (9/07). Sheet 16 Beds, Bucks & Herts & NW London (1:100,000) : A (4/02) ; B (7/04); C (8/06). Sheet 17 Essex & NE London (1:100,000) : A (4/02) ; B (7/04); C (8/06). Sheet 18 Surrey, West & East, Sussex & SW London (1:100,000) : A (4/02); B (3/04); C (5/06); C/ (5/07); D (5/08). Sheet 19 Kent & SE London (1:100,000) : A (4/02) ; B (3/04); C (5/06); D (5/08). Sheet 20 Norfolk (1:100,000) : A (10/02); B (2/06); C (4/08). Sheet 21 Suffolk (1:100,000) : A (10/02); B (12/05); C (12/07). Sheet 22* Wiltshire (1:100,000) : A (2/04); B (1/06); C (3/08). Sheet 23* Herefordshire & Worcestershire (1:100,000) : A (2/04); B (4/06); C (5/08). Editions announced in Leisure map catalogue but subsequently not published depicted in blue. Wales (1:220,000) : A (6/01). Replaced by sheets 10 and 11 (8/03). Lake District & Cumbria (1:110,000) : A (6/01). Replaced by sheet 3 (7/03). Peak District & Derbyshire (1:100,000) : A (7/01). Replaced by sheet 4 (11/03). Yorkshire Dales (1:100,000) : A (7/01). Replaced by sheet 6 (10/03). North York Moors (1:100,000) : A (2/02). Replaced by sheet 2 (9/03). The Cotswolds (1:100,000) : A (2/02); A/ (9/02). Replaced by sheet 8 (10/03).